Proform are a well-known brand in home fitness equipment and have a good reputation for budget treadmills, bikes and elliptical trainers, but at present the 440R is the only rowing machine in their range, It's price ($399 at the time of this review) puts it towards the top end of the budget models and just below the middle of the range machines. This is a difficult position as expectations start to rise once you spend over $400 on a fitness machine. So how does it score? First impressions aren't helped when you try to assemble the 440R. It takes a lot of fixing! Many parts we thought could have been pre-assembled to make things easier, but as we say many times on this site, it's something you'll only have to do once. 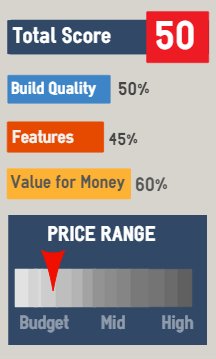 The build quality is pretty good and it easily matches up to other models in the same price bracket. The all-important rowing position is comfortable for this sort of machine. The footrests are large enough for most feet and the velcro straps are wide and will hold your feet firmly in place. The seat is small, but well padded but the larger rowers may find it uncomfortable. The maximum user weight the rower will support is 250 lbs - but that seat may put you off if you're close to this weight. What really let's down the comfort of using this rower is its handle. It's too slim, has no shape to it at all and most will find the basic circular rod difficult to grip. ProForm describe it as 'ergonomically-designed' but we're hard pressed to see any evidence of 'design' and we're sure heavy use would result in blisters unless you use gloves. This is a great pity, with a better handle it would be a much better machine. The resistance mechanism is provided by a small flywheel. Generally, the larger and heavier the flywheel the smoother the ride, but the 440R has an reasonably quiet and smooth(ish) action that's acceptable for a budget model. There are eight levels of resistance that are selected by turning a large red knob under the display. This is a magnetic machine, but the levels are not controlled by any pre-set program so the levels have to be adjusted manually. If you're looking for pre-set or heart rate training you'll have to be prepared to spend around twice as much. ProForm's website shows how the machine can also be used for strength training using the handle as a pulley. However, we think a rower is a rower and far more can be achieved using it as just that. As budget displays go, it's pretty good. The good-sized LCD screen is easy to read. It shows most of what you need to know for your workouts. 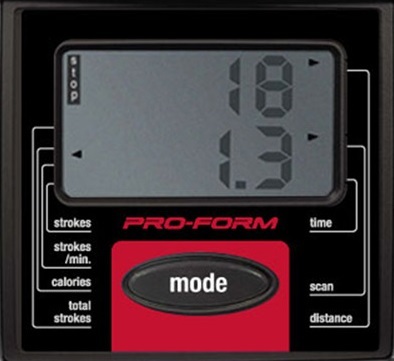 The data includes calories, strokes, strokes per minute, time and distance rowed. As with all basic consoles, the accuracy is not 100% but will be close enough for you to compare your progress over time. The useful scan mode will display each data set for a period of approximately six seconds before moving onto the next. 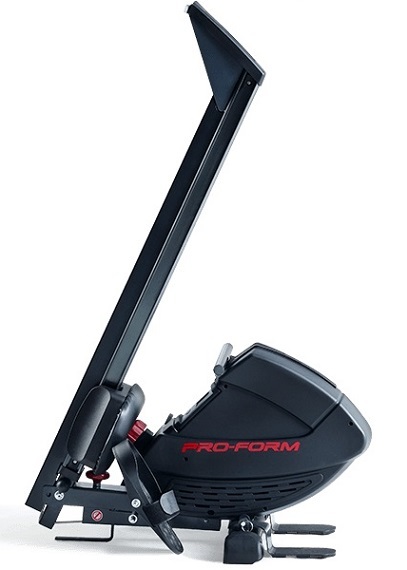 The ProForm 440R has much to offer the casual rower who'll use it for up to 4-5 hours a week in our view. But if you want something for more regular training, we feel other machines costing only a little extra could be a better option. Apart from the very basic handle, the rowing experience is pretty good for a machine costing around $300 and worth considering. 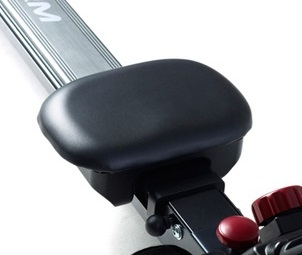 For a similar price, you can get virtually the same rower with a better handle from ActionLine, otherwise the closest competitors are the Kettler Favorit, LifeSpan RW1000 and Stamina's Air rower.